The team at Moffitt Animal Clinic is comprised of highly trained and experienced animal health professionals who have a genuine love for working with pets. Our staff treats every patient with the highest quality of medical care as well as a gentle touch. Dr. Calvin Moffitt graduated from Kansas State University of Veterinary Medicine in 1973. After graduation he practiced veterinary medicine in Beatrice, Nebraska until 1976. After a time practicing in both Tennessee and Las Vegas, Dr. Calvin moved to Fallon, Nevada where he opened Lahontan Valley Veterinary Clinic in 1980 and worked there until moving to Moffitt Animal Clinic in 2010. Dr. Eric was raised in Fallon where he graduated from Churchill County High School in 1996. He attended Kansas State University of Veterinary Medicine, graduating in 2007. After graduation Dr. Eric worked at Lahontand Valley Veterinary Clinic until opening Moffitt Animal Clinic in 2010. Dr. Eric lives in Fallon with his wife and their two young sons. Dr. Michelle Brim was born and raised on a family farm in central Iowa where she was avidly involved in 4-H, showing Holstein Dairy cattle, chickens, and Arabian Horses. She grew up raising and caring for a variety of animals, cats, dogs and the occasional wild animal. When she was not busy doing chores or riding horses she was busy helping her family raise and preserve the bulk of their food. Dr. Brim earned her Bachelor in Genetics in 1987, becoming the first woman to graduate from Iowa State university in this degree program. During her undergraduate years, Dr. Brim worked in the Genetics Laboratory on campus and Iowa State University Dairy farm milking cows. She worked as a Genetics Engineer for one year after graduation, prior to pursuing her passion in Veterinary Medicine. Dr. Brim was awarded her Doctorate of Veterinary medicine from Iowa State University in 1991 and her Masters of Science in Nutritional Physiology in 1992. She worked at a mixed animal practice in Nederland, Colorado, for three years before moving back to Iowa to work in the animal vaccine industry. In 1999, she started her own mixed animal mobile practice, offering both holistic and traditional medicine to a variety of farm animals, cats, and dogs. She became certified in Canine Massage in 2004 through Equissage and Veterinary Acupuncture in 2013 through the Chi Institute. Dr. Brim moved to Northern Nevada in early 2014 and began working in a companion animal hospital. Dr. Brim is passionate about Nutrition, the Healing Touch, nurturing the Human Animal Bond, and being able to offer patients and clients the best of both Eastern and Western Veterinary Medicine. 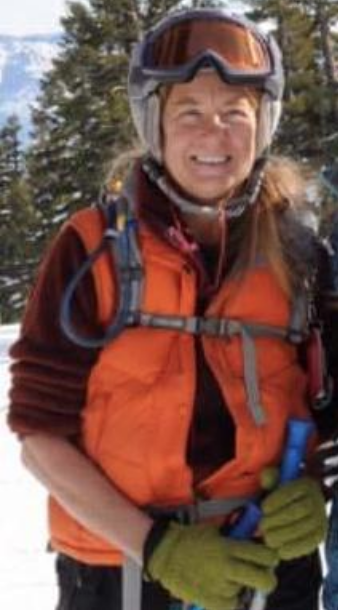 During her free time Dr. Brim enjoys living an active lifestyle by hiking with her dogs, riding horses, camping and visiting Tahoe and Pyramid Lake with her family, gardening and generally spending time outdoors. Lori has lived in the Fernley area for the past 24 years. She is passionate about her work with animals. Lori has been working in the veterinary field since 1991. Lori lives with her husband and 2 children, along with a multitude of pets. Lori enjoys camping, boating and spending time with her family in her spare time. Michelle grew up in the Fernley area before moving to South Carolina where she graduated from high school and went on to receive a Bachelor Degree of Science in Biology from Newberry College in South Carolina. Michelle is currently enrolled at Penn Foster and hopes to obtain her Veterinary Technician license within the next year. She lives in Fernley and enjoys spending time with her family and pets. Stephani is passionate about her work in Veterinary medicine. She is currently enrolled at Penn Foster to become a Veterinary Technician. Stephani moved to the Fallon area from Texas. She enjoys spending time with her husband and dogs. Shannon recently moved to Northern Nevada in 2013. She enjoys spending time with her dogs, Bonnie and Gunner, and her newly adopted kitten. Shannon is Veteran and has found her place in Veterinary medicine. She enjoys working at Moffitt Animal Clinic and exploring the local area. Meagan was born and raised in Nevada. She is new to veterinary medicine but has been a great asset to the team with her upbeat and outgoing personality. Meagan is passionate about animal care and enjoys talking to the clients. Meagan enjoys spending time with her husband and children. Kim was born in Redwood City, California and graduated from Consumnes River College in Sacramento as a Veterinary Technician in 1986. Kim moved to Nevada in 2000 and has worked in various fields of Veterinary Medicine, from small animal practice to laboratory medicine, she has over 20 years experience. Kim spends her spare time breeding and showing her Doberman Pinscher Dogs and has made them a fulfilling part of her life. Kara was born and raised in Nevada. She graduated from Fernley High School in 2000. After graduation she pursued her licensing as a Veterinary Technician through the Community College of Southern Nevada. Kara has been working in the veterinary field since 1997. Kara lives in Fernley with her husband and 3 young children and enjoys exploring the Northern Nevada area with her family.